As the name suggests, Millbridge was originally a bridge. The first one was built around 1525 by the landowner Sir Piers Edgcumbe across the creek that then stretched from the River Tamar at Stonehouse, up as far as Pennycomequick. This creek effectively separated the small towns of Devonport and Plymouth. The bridge was actually a dam that created a mill pond and originally supported two mills operated by tidal power with water running down the creek. The mills operated until the end of the 19th century when they were recorded as having three wheels driving 5 pairs of mill stones. Crossing the bridge was free for many years but in 1807 a toll gate was erected. This led to a legal battle until it was established that Lord Edgcumbe had the right to charge tolls. However it finally became toll free on 1st April 1924, according to the plaque still on the bridge today. No more than 200 metres from Millbridge junction, along Paradise Road is the parish church of Stoke Damerel, one of the oldest churches in Plymouth. It is thought that there has been a church on this site since the 13th century. However the oldest part of the current church is the tower that was built in the 15th century. It would have been there when the first bridge was built across the creek. 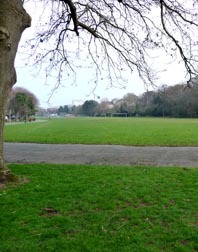 It has an isolated position, between the Plymouth Dock (now Devonport)and Plymouth and is about three quarters of a mile from Devonport across open fields. In the 18th century, this made it ideal for body snatchers who disinterred bodies from the graveyard and sold them for medical research. With an increasing local population, and subsequent deaths, by 1871 the churchyard had become full to overflowing. Complaints about the smell were received from the nearby Military hospital so it was closed and replaced by a new burial ground and chapel in Milehouse. 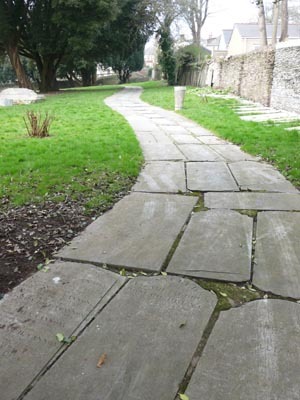 In the 1960s, the old graveyard was landscaped and turned into a tranquil public open space. Most of the old headstones were placed round the walls or laid out as paths, and the remains of those buried there were re-interred at Efford. Until the end of the 19th century, the area of Victoria Park was a tidal marshland known as Deadlake. It was fed by two streams that eventually flowed to the river at Stonehouse creek. Because of the expansion of Plymouth at the time and the growth of the Dockyard it was decided that the land should be reclaimed by filling it in. Rubble from quarries at Oreston and Cattedown were used and the park was formally opened to the public in 1903. It originally had many of the attractions of a Victorian park – a bandstand, fountains, park-keepers house, swings and roundabouts, as well as a large number of flower beds and sports facilities. Over the years many changes have been made, but the sports pitches still remain in regular use for local teams.